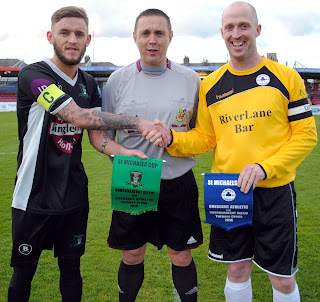 Knocknaheeny Celtic's captain Ken Crinnion exchanges pennants with Crescent Athletic's captain Ger O'Brien as referee Ray Murphy looks on prior to the St Michael's Cup Final at the Cross on Tuesday night. 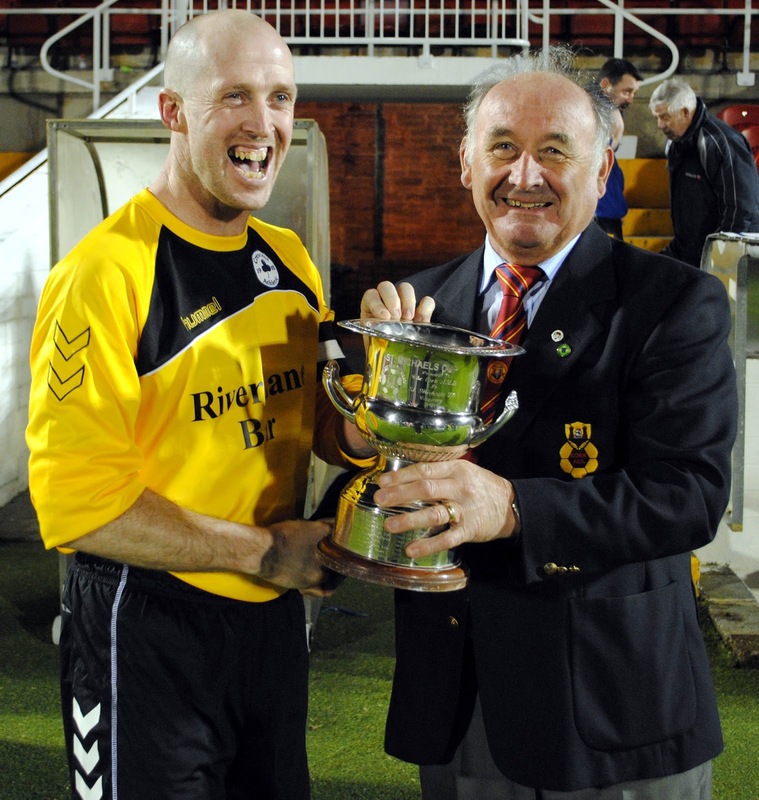 Crescent Athletic players and friends celebrate with the St Michael's Cup after defeating Knocknaheeny Celtic 1-0 in the final at the Cross on Tuesday night. 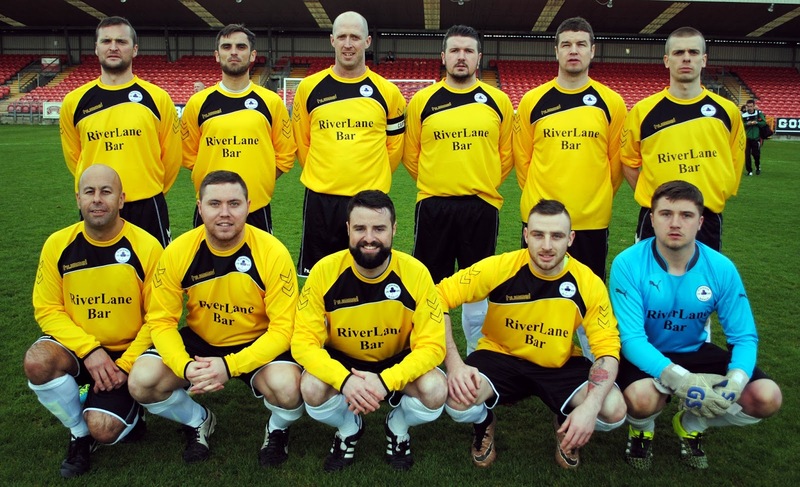 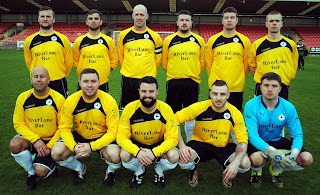 The Crescent Athletic side that had a 1-0 victory over Knocknaheeny Celtic in the St Michael's Cup Final at the Cross on Tuesday night. Crescent Athletic's Lloyd Cambridge receives his man of the match accolade from the Cork AUL's Richard Browne after the game. 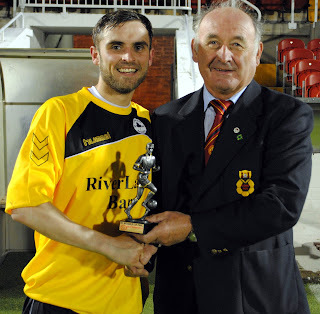 Crescent Athletic's captain Ger O'Brien is presented with the St Michael's Cup by Richard Browne (Cork AUL) following their 1-0 victory over Knocknaheeny Celtic at the Cross on Tuesday night.